Audrey Duarte is an Assistant Professor in The School of Psychology at the Georgia Institute of Technology. She has published numerous EEG, fMRI, and neuropsychological studies related to age-related changes in episodic memory functioning and holds the current Early Career Goizueta Professor Chair at the Georgia Institute of Technology. Morgan Barense is an Assistant Professor in the Department of Psychology at the University of Toronto. She received her Ph.D. from the University of Cambridge in 2006. 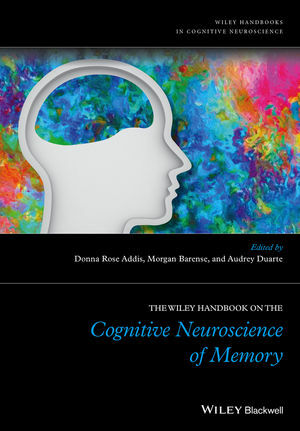 Dr. Barense has published extensively on how memory functions are organized within the human brain and how memory relates to other cognitive processes, such as perception. She has received many accolades for this work, including a Canada Research Chair in Cognitive Neuroscience and a Scholar Award from the James S. McDonnell Foundation. Donna Rose Addis is an Associate Professor and Rutherford Discovery Fellow in the School of Psychology at The University of Auckland. She received her PhD from the University of Toronto in 2005 and completed a postdoctoral fellowship at Harvard University. She has published 60 articles and chapters on autobiographical memory, future thinking and identity. Dr Addis has received a number of honours for her work in this area, including the prestigious New Zealand Prime Minister’s MacDiarmid Emerging Scientist Prize.